Dry Cleaning is not just CUT & DRY! We know you have some questions! See if your answer is here. 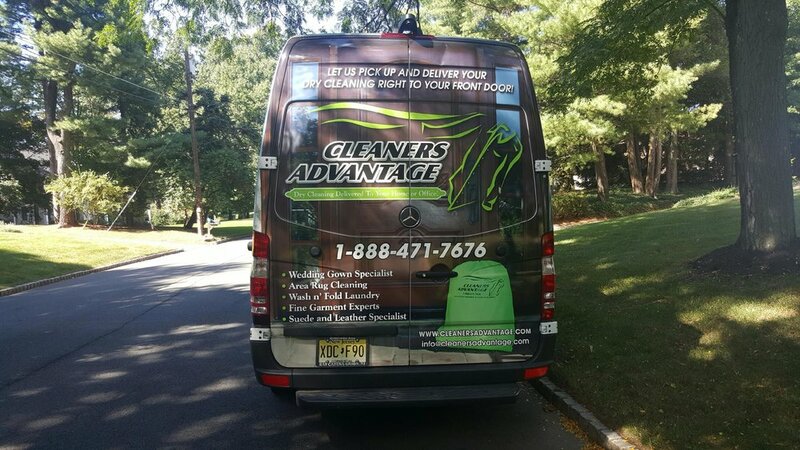 If not, please feel free to contact our Dry Cleaning facility in New Jersey with all of your questions, concerns or special Dry Cleaning or Laundry needs. Do I need to call for a pick up? No, unless your needs are infrequent. You can be "On Demand"
Do I need to identify stains? No, every garment that arrives at our Cleaners Advantage facility is individually spotted. We have a lot of hangers. Do you recycle them? YES! We even provide the hanger shaped collection boxes. Of course! We have a State of the Art, completely self-contained cleaning system that meets and exceeds all EPA and OSHA requirements. We have solar panels on our plant roof and recycle our water using a special "Chiller" process and then use it to cool all our machinery. We barcode for less invoicing and use a paperless billing system! Do you clean and prepare Wedding Dresses for storage and Preservation? Do you clean area rugs? Do you clean UGG Boots and other suede products?